Pictures and blogs. Check out conference pictures on facebook or flickr. Recap. Read the recap report (PDF). Video. Many of our sessions were recorded and you can watch the videos here. Be sure to check back as more will be posted soon! Join our growing movement. If you are not already a member, we hope you will consider joining Global Washington. We provide numerous opportunities throughout the year for training, promotion, and networking. We are thrilled to announce keynote speaker Dr. Sakena Yacoobi, Executive Director and Founder of the Afghan Institute of Learning, which has served over 9 million Afghans by providing education and health services to women and children. 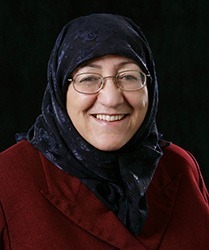 Dr. Yacoobi’s work has been recognized by numerous awards and honors, including the Henry R. Kravis Award for Leadership, the Women’s Rights Prize of the Peter Gruber Foundation, and the 2010 Jonathan Mann Award for Global Health and Human Rights. View her full bio. We hope you will join us at our conference in December to hear from this premier leader and thinker! 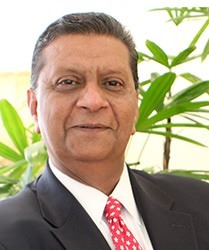 Amir Dossal is Founder and Chairman of the Global Partnerships Forum, an international platform to address economic and social challenges, through innovative partnerships, www.Partnerships.org. He is also the Co-Initiator of the Pearl Initiative, a CEO-led program, promoting transparency and accountability in the Gulf Region. In addition, Amir is Special Representative of the Secretary-General of the International Telecommunication Union for Global Partnerships and also serves as Commissioner of the Broadband Commission. He is also Special Adviser to the Chief Information Technology Officer of the United Nations. View his full bio. 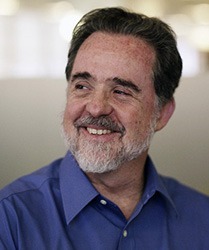 Raymond C. Offenheiser returned to the US in 1996 to join Oxfam America as its President. Oxfam America, a Boston-based international relief and development agency, supports organizations committed to developing solutions to poverty and injustice in more than 30 countries. Oxfam America is the US affiliate of Oxfam International—a confederation of 17 Oxfams, which collectively works in 120 countries, and has annual revenue of $1 billion. Oxfam complements its grassroots work with far-reaching programs to engage world public opinion and influence decision makers on such issues as food security, climate change, trade, debt relief, foreign aid, HIV/AIDS, et al, and as such, brings a unique and informed perspective to those critical issues that directly affect the lives of the world’s poor. Under Offenheiser’s leadership, Oxfam America more than quintupled in size, and repositioned itself in the US as a leading voice on international development and global trade. Offenheiser has worked his entire career in the non-profit sector, and is a recognized leader on issues such as poverty alleviation, human rights, foreign policy, and international development. He has played a critical leadership role in shaping the development of the Oxfam International confederation and is a founder board member of both the ONE Campaign here in the US as well as the Modernizing Foreign Assistance Network (MFAN). He brings more than 30 years of international development experience as a field programmer, grant maker, and executive in Asia, Africa, Latin America and the US. Prior to joining Oxfam America, he served for five years as the Ford Foundation Representative in Bangladesh and, prior to that, for five years in a similar role in the Andean and Southern Cone Region of South America. He has also directed programs for the Inter-American Foundation in Brazil, Colombia and Ecuador and worked for Save the Children Federation in Mexico. 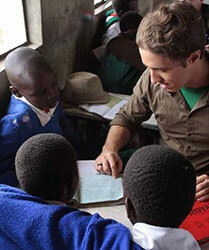 Craig Kielburger co-founded Free The Children in 1995 at only 12 years of age. Today, he remains a passionate full-time volunteer for the organization, now an international charity and renowned educational partner that empowers youth to achieve their fullest potential as agents of change. Free The Children delivers innovative programming to more than 4000 youth groups and hundreds of thousands of young people in Canada, the United States and the United Kingdom. As the world’s largest network of children helping children through education, the organization has worked in 45 countries and built more than 650 schools and school rooms in developing regions, providing education to more than 55,000 children every day. Craig is also the co-founder of Me to We. An innovative social enterprise, Me to We provides people with better choices for a better world, including socially conscious and environmentally friendly clothes and accessories, as well as life-changing international volunteer trips, leadership training programs and materials, a speakers bureau, and books which address issues of positive social change. In addition, half of Me to We’s net profit is donated to Free The Children, while the other half is reinvested to grow the enterprise and its social mission. Craig has a degree in peace and conflict studies from the University of Toronto and is the youngest-ever graduate of the Kellogg-Schulich Executive MBA program. He has received ten honorary doctorates and degrees, The Roosevelt Freedom Medal, The World Children’s Prize for the Rights of the Child (often called the Children’s Nobel Prize) and is one of the youngest recipients of The Order of Canada. Craig’s work has been featured on multiple appearances on The Oprah Winfrey Show, CNN, 60 Minutes and The Today Show; and in People, Time and The Economist.